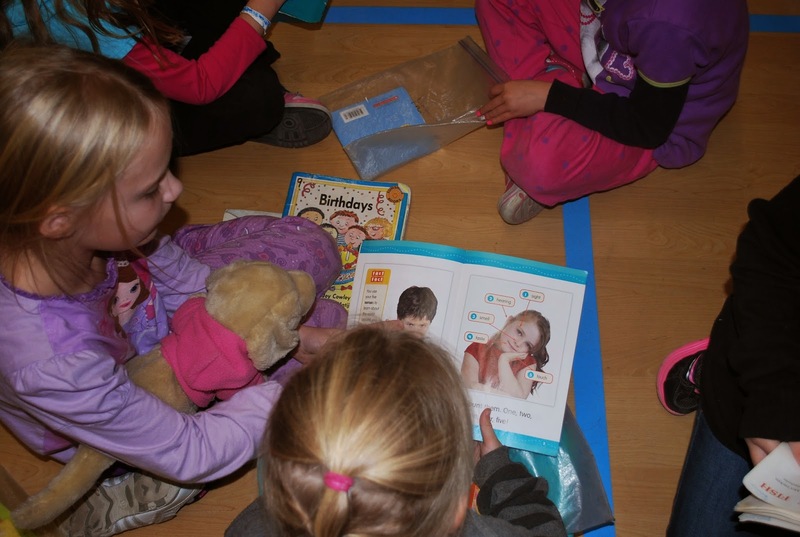 This report of DEaR action in the Kamloops-Okanagan is courtesy of district librarian Andrea Wallin. Wow! 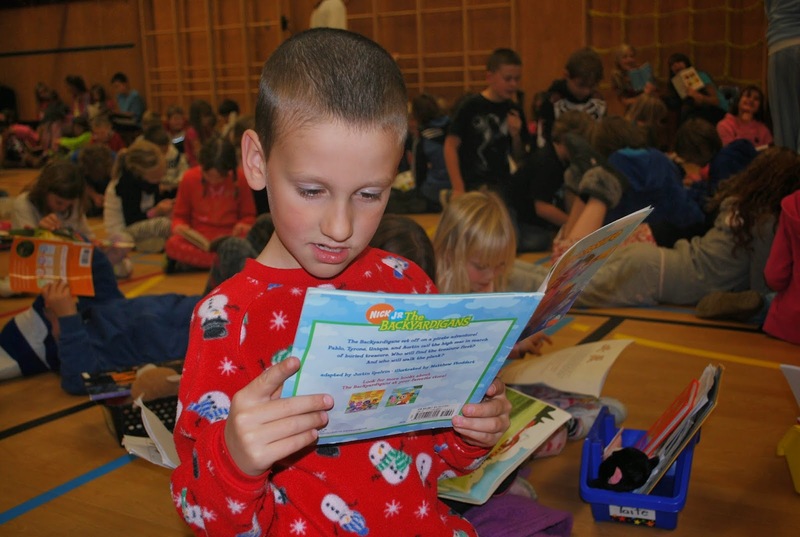 What an amazing reading motivation event yesterday! 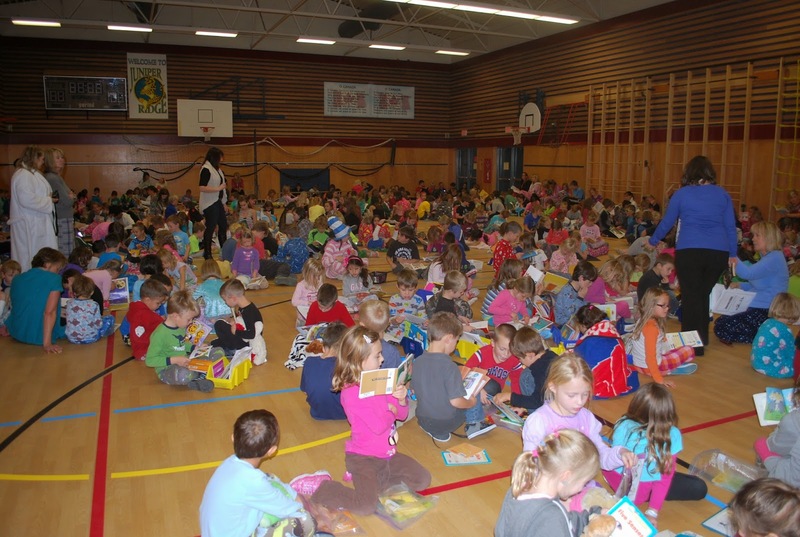 A huge thank you to all the SD73 teacher-librarians and library assistantswho organized SD73 DEAR at 37 schools this year, a district record! 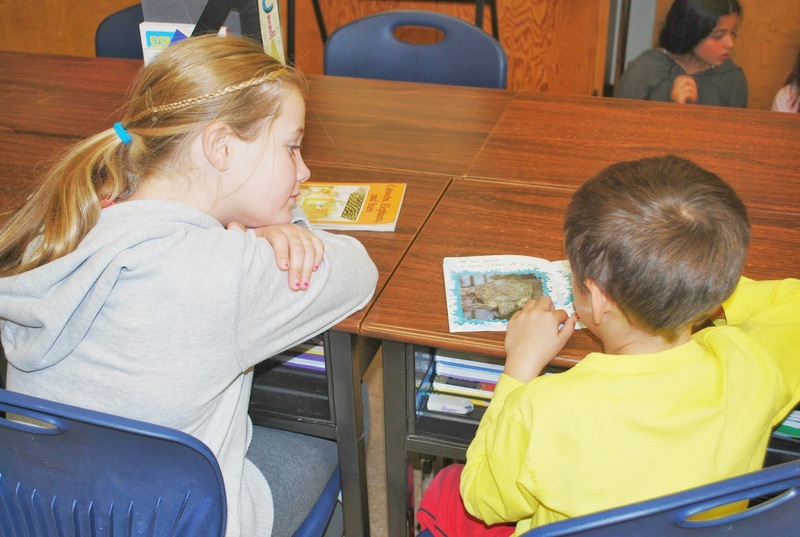 From selecting, purchasing, cataloging, processing and displaying engaging books for our readers, to book talking books and helping students find the "just right fit books"...thank you for all that you do to encourage our students to read on a daily basis. I haven't tallied the numbers yet as the school participant numbers are still coming in but I'm sure we have surpassed the 10,000 participant mark. Check out our district spotlight for this information next week. 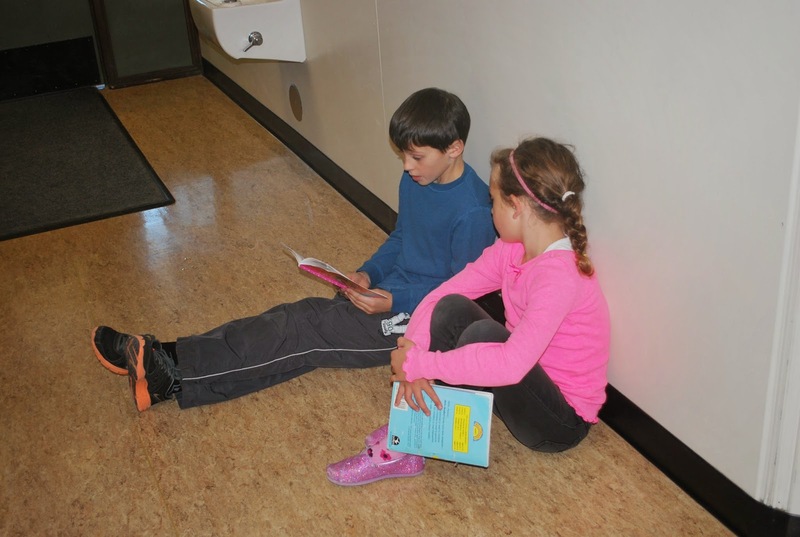 More important than the participant numbers is the enthusiastic response to DEAR district-wide. 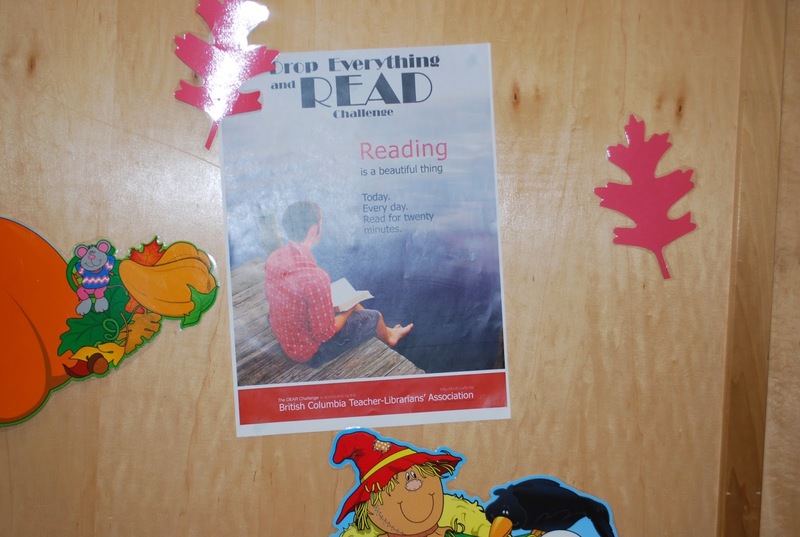 I was fortunate to visit three schoolsyesterday and was overwhelmed by the decorated doors, costumes, special literacy events, guest readers and just the pure magic of school-wide reading. 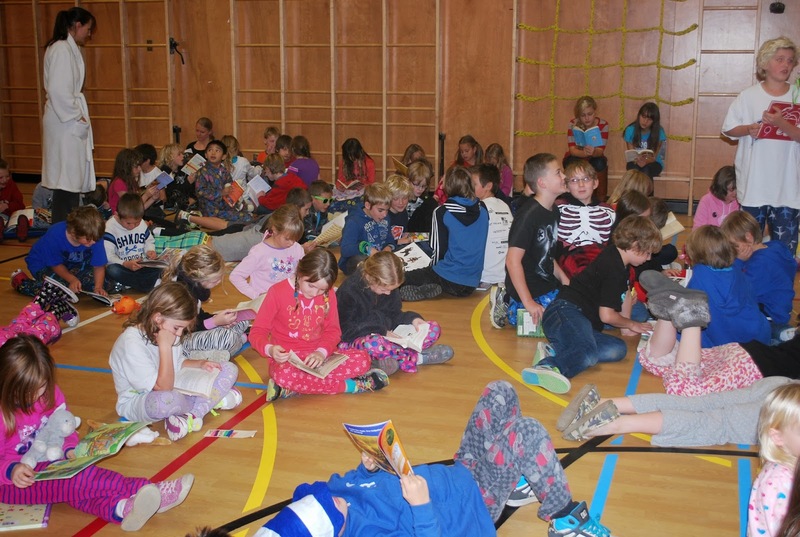 Thursday: Dress as Your Favourite Literary character for Halloween! 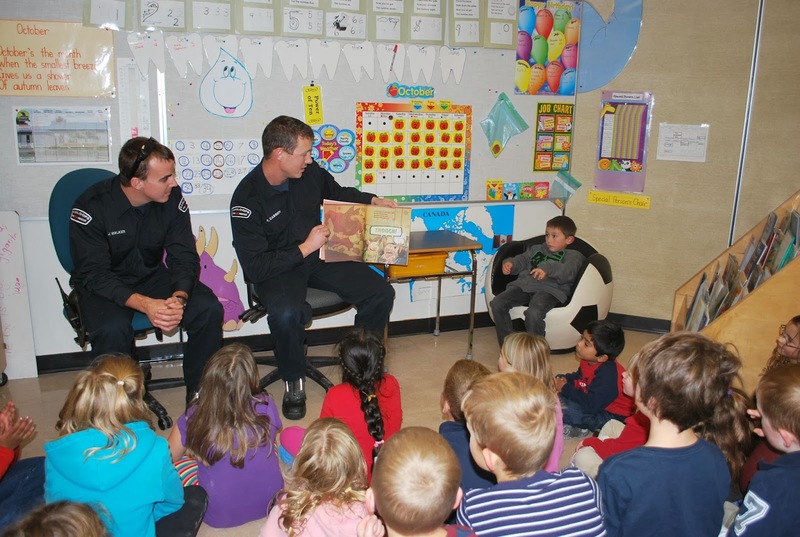 Thank you to Nicole Gorman, SD73 teacher-librarian, for coordinating special Firefighter visits to a number of schools in Kamloops/Thompson during DEAR. 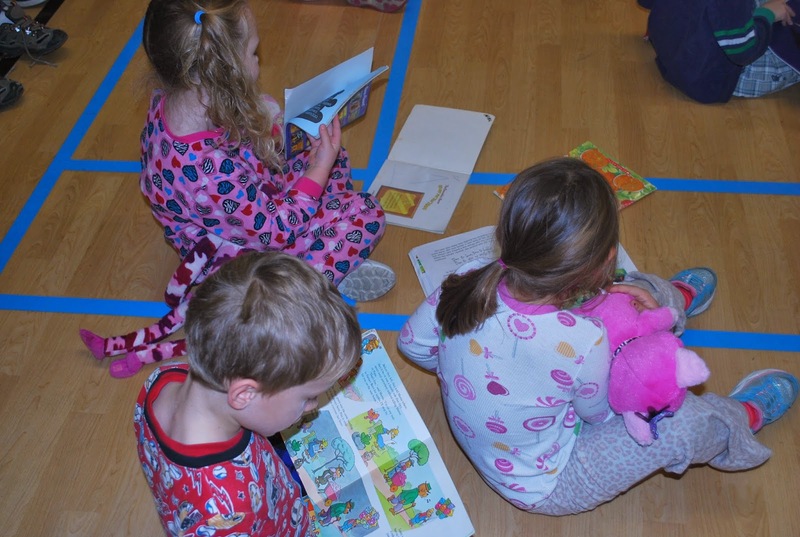 Listening to our local heroes reading stories to keen students was a definite highlight yesterday!